"Donald Trump's greatest threat to our society and to our democracy is not necessarily his authoritarianism, but his essential ignorance—of history, of policy, of political process, of the Constitution. Saying that if Jackson had been around we might not have had the Civil War is like saying that one strong, aggressive leader can shape, prevent, move history however he wishes. This is simply 5th grade understanding of history or worse." David Blight, Yale historian. Trump’s remarks reflect an unease with contemporary racial issues, says a history professor. Try as he might to pitch the accomplishments of his first 100 days, President Donald Trump made headlines Monday for something unrelated to health-care reform or the border wall. Instead, it was his off-the-cuff questioning of the Civil War. While Jackson may have been tough, he was also a slave owner, making him an unlikely candidate for brokering an end to slavery. The chances of cutting a deal to avoid war were also slim in this all-or-nothing standoff. “The recognition that slavery represented what Republican William Seward in 1858 called ‘an irrepressible conflict’ was by 1860 shared broadly by people in both regions,” wrote Ed Kilgore for New York. 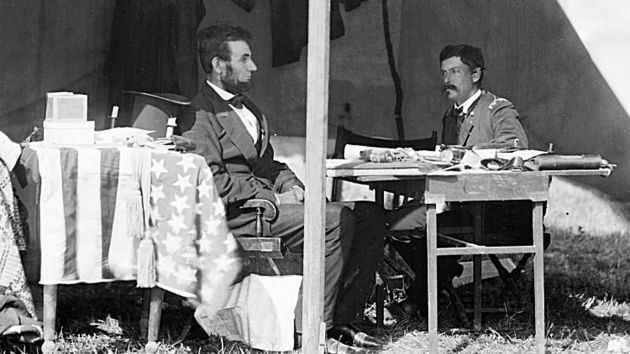 For more on why, in fact, the Civil War happened, and the complicated politics of questioning the war, Pacific Standard talked to Judith Giesberg, a history professor at Villanova University and editor of the Journal of the Civil War Era. Yeah, [Trump’s remark was] something along the lines of, “People don’t ask that question, but why was there a Civil War?” I would respond to the first part and say, of course they have, for generations, asked that question. Those who survived the war and generations of historians in the aftermath of the war have asked that question. The reason I say that is because historians, for decades now, have come to a consensus on the answer to that question, and that is slavery. But when somebody poses a question like that and denies that it has ever been asked before, it’s usually because they don’t like the answer. There are people who don’t like the answer, and I certainly read his remarks as akin to that. People have asked that question for many years, and, for many years now, historians have come to one conclusion, repeatedly. And that is slavery. From a historical perspective, why would this be on the president’s mind right now? People pose that question and deny the answer when they’re facing complicated, contemporary issues about race. So that question will come up when we’re facing problems of urban violence. People bring this stuff up when they’re facing something that’s complicated now, and they’ll try to come up with an answer, or they’ll ask why the answer is so unfulfilling. And I do think that that’s in part informing why he is posing that question. I think he doesn’t understand contemporary racial issues, or he’s tone deaf to the way many Americans see contemporary racial issues. 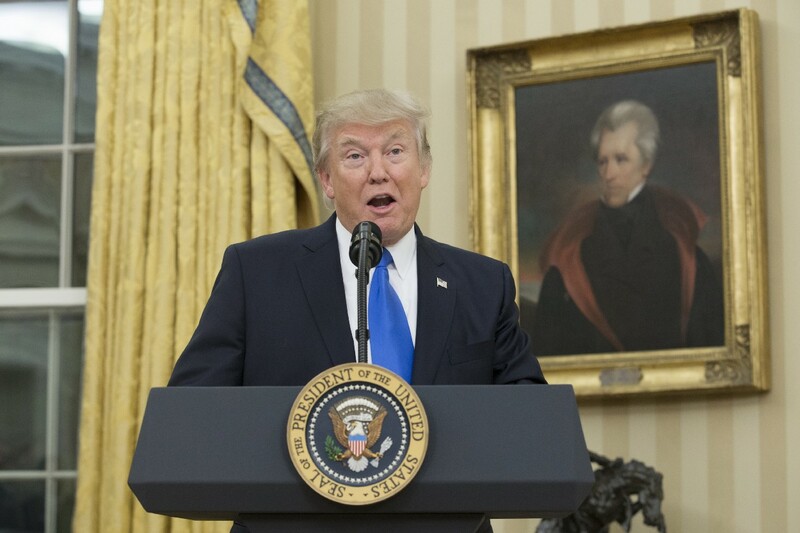 President Donald Trump, beneath a portrait of President Andrew Jackson. Trump also said that Andrew Jackson would’ve been able to stop the Civil War from happening if he had been president at the time. In a broader sense, is there any historical basis for the idea that the war could’ve been prevented? There have been generations of scholars who have looked at the aftermath of the Civil War and said, why? Why did we have this war? In particular, people who wrote about the Civil War in the late 19th century, early 20th century, shook their heads and said, “It solved so little.” There are so many racial problems still gripping the country. They shake their heads and say: “Why did we have this war? Is there a way we could’ve solved the problem of slavery without war?” And they make the argument that it was needless. But they make that argument from a perspective of concern about the continued problems of racism in the late 19th century. So those are Progressive Era historians who made that argument that it was needless. Could the problem of slavery have been solved without a war? Scholars have answered that with a firm no, that slavery wouldn’t have ended on its own. The assumption there is that slavery was dying out. Fifty years after the war, that’s an argument that people made about slavery. Historians now, with the benefit of many more tools at their disposal, have really flipped that argument on its head and said, in fact, there’s every reason to believe that slavery could’ve lived on for another 100 years without ever having ended. There was every reason to believe that this history would have gone on the way it had been going on since the founding of the country. Slavery had proven itself quite capable of becoming modern. It could’ve been easily absorbed into a modern economy. Historian on Donald Trump's Civil War Comments: "God Help Us"
President Donald Trump said in an interview on SiriusXM's "Main Street Meets the Beltway" show Monday that if Andrew Jackson had been president in 1860, the Civil War would have been averted. "Had Andrew Jackson been a little later, you wouldn't have had the Civil War," he stated, and he asked, "Why could that one not have been worked out?" Well, I just read these postings? So he really said this about Jackson and the Civil War? All I can say to you is that from day one I have believed that Donald Trump's greatest threat to our society and to our democracy is not necessarily his authoritarianism, but his essential ignorance—of history, of policy, of political process, of the Constitution. Saying that if Jackson had been around we might not have had the Civil War is like saying that one strong, aggressive leader can shape, prevent, move history however he wishes. This is simply 5th grade understanding of history or worse. And this comes from the President of the United States! Under normal circumstances if a real estate tycoon weighed in on the nature of American history from such ignorance and twisted understanding we would simply ignore or laugh at him. But since this man lives in the historic White House and wields the constitutional powers of the presidency and the commander in chief we have to pay attention. Trump's "learning" of American history must have stopped even before the 5th grade. I wish I could say this is funny and not deeply disturbing. My profession should petition the President to take a one or two month leave of absence, VP Pence steps in for that interim, and Trump goes on a retreat in one of his resorts for forced re-education. It could be a new tradition called the presidential education leave. Or perhaps in New Deal tradition, an "ignorance relief" period. This alone might gain the United States again some confidence and respect around the world.